1:56 a.m., fight, 200 block of Walnut Street, Williamsport. 5:20 a.m., burglary, 300 block of Center Street, Williamsport. 7:28 a.m., trespasser, 200 block of Palmer Hill Road, Loyalsock Township. 8:29 a.m., harassment by communications, 100 block of South Market Street, Muncy Borough. 8:34 a.m., harassment by communications, 600 block of Fourth Avenue, Williamsport. 9:24 a.m., hit and run, 800 block of Cemetery Street, Williamsport. 10:05 a.m., burglary, 800 block of Elmira Street, Williamsport. 10:33 a.m., theft, 700 block of West Edwin Street, Williamsport. 12:05 p.m., harassment, 300 block of Old Route 220, Piatt Township. 1:20 p.m., harassment, 1400 block of Allegheny Street, Jersey Shore Borough. 1:43 p.m., harassment, 600 block of Lloyd Street, Williamsport. 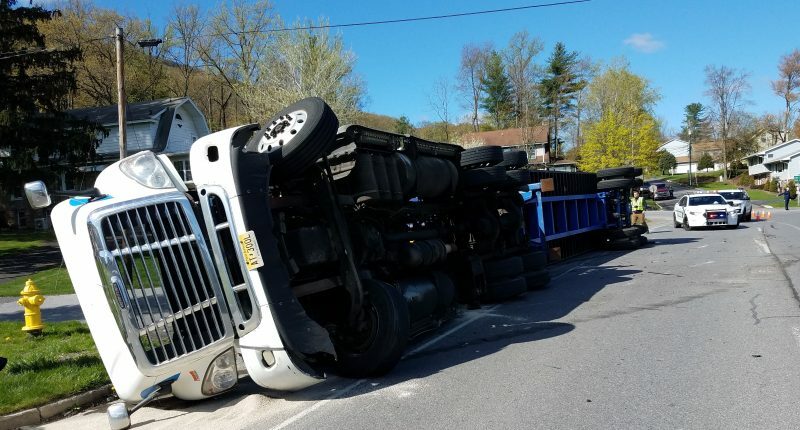 3:21 p.m., reckless/intoxicated driver, 1600 block of Riverside Drive, South Williamsport Borough. 4:00 p.m., trespasser, 300 block of Valley Drive. 5:53 p.m., reckless/intoxicated driver, corner of Lafayette Parkway and Washington Boulevard, Loyalsock Township. 6:13 p.m., reckless/intoxicated driver, corner of Long Lane and South Route 44, Nippenose Township. 7:40 p.m., harassment by communications, 400 block of Lycoming Street, Williamsport. 7:47 p.m., disturbance, 700 block of Wilson Street, Williamsport. 8:35 p.m., disturbance, 700 block of High Street, Williamsport. 8:52 p.m., reckless/intoxicated driver, 13000 block of Route 200, Penn Township. 12:49 a.m., disorderly conduct, 200 block of Rose Street, Williamsport. 1:29 a.m., harassment, 2800 block of South Route 44, Nippenose Township. 2:47 a.m., trespasser, 400 block of Brandon Avenue, Williamsport. 6:15 a.m., burglary, 500 block of Washington Boulevard, Williamsport. 9:55 a.m., burglary, 600 block of Cemetery Street, Williamsport. 11:22 a.m., harassment, corner of Memorial Avenue and Spruce Street, Williamsport. 11:23 a.m., harassment, 2800 block of West Fourth Street, Williamsport. 12:49 p.m., harassment, 100 block of South Lycoming Mall Road, Muncy Township. 1:22 p.m., disorderly conduct, 1800 block of Hays Lane, Loyalsock Township. 1:13 p.m., identity theft, 700 block of Arch Street, Williamsport. 2:37 p.m., reckless/intoxicated driver, 1100 block of Allegheny Street, Jersey Shore Borough. 3:55 p.m., shoplifter, 200 block of William Street, Williamsport. 4:52 p.m., theft, 100 block of West Third Street, Williamsport. 5:00 p.m., shoplifter, 400 block of Hepburn Street, Williamsport. 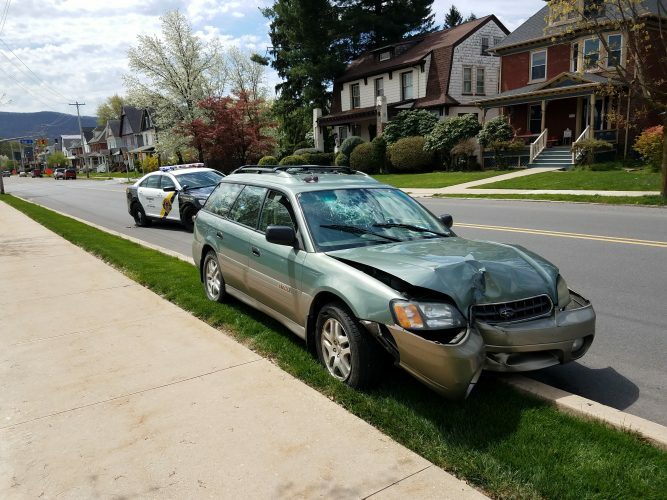 5:21 p.m., reckless/intoxicated driver, 1600 block of Dewey Avenue, Old Lycoming Township. 5:45 p.m., theft, 700 block of High Street, Williamsport. 6:33 p.m., theft, 800 block of West Third Street, Williamsport. 7:11 p.m., harassment by communications, 600 block of Green Street, Williamsport. 7:33 p.m., burglary, 1900 block of Route 405, Muncy Creek Township. 10:13 p.m., harassment, 200 block of West Fourth Street, Williamsport. 11:37 p.m., criminal mischief, 200 block of Rose Street, Williamsport.